If the legendary wooden boats of our past had kept evolving, how might they look today? Belize could well offer some insights. About the only backward-looking aspect in the engineering department is the twin aft-facing Cummins Zeus 3000 bronze pod drives, with through-hub underwater exhausts and very advanced lightweight, immensely strong carbon fibre drive shafts to reduce weight and horsepower loss. As attractive as all these Belize benefits might be, desirability is no substitute for availability. The reality is, there will be a very finite number of Belize Motoryachts built each year. The Sedan owner could well be new to boating and just wants it to be as easy and simple as possible. But they could just as easily be a veteran cruiser who has owned Flybridge vessels but no longer wants splitlevels and stairs, either in their boat, or their living quarters on terra firma. The advantages of such a layout are many but the main one is the convenience of every activity being available on one single, flowing level. 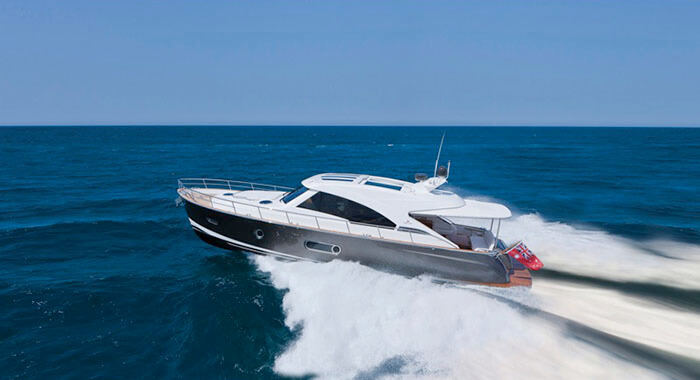 Everything is right to hand: helm, galley, saloon, dining, bar, entertainment systems; all within the comfort and protection of a roomy weather-proof space. But this style can also provide the best of both worlds; with a lift-away glass bulkhead making way to the large cockpit and extending the entertaining out to the open air. 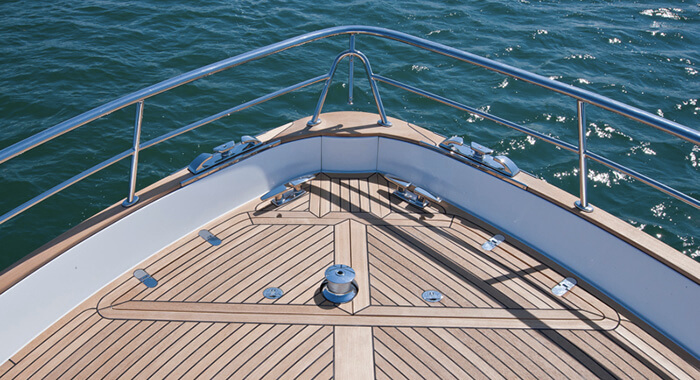 As you well know, the geometry beneath any planing powerboat is crucial to performance. Belize was never going to make do with some off-the-shelf version, nor even settle for creating their own in the absence of propulsion data. First prize, really, is to design in conjunction with the particular drive setup a boat will have. Because Cummins Zeus pod drives had been agreed upon for the 54, the boat’s running surface was primarily penned on that specific basis. 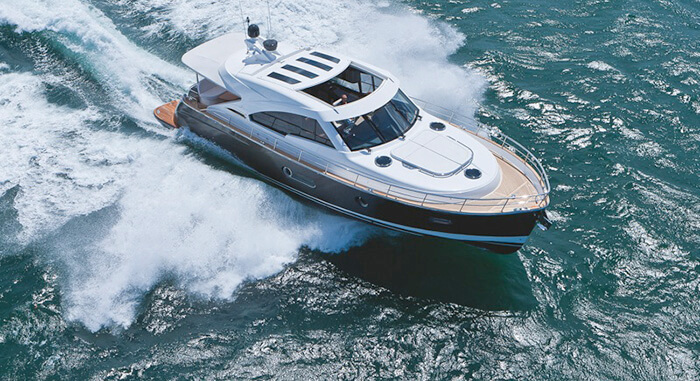 First, by Ocean Yacht Designs, then reviewed by Cummins’s own inhouse naval architects. Essentially, it’s a warped-plane hull with a very fine entry, and strong flare decreasing to a fairly flat run aft — a deadrise of 12 degrees. electronic engine controls, automatic trim tabs (with manual override), electric steering with adjustable wheel, standard auto-pilot, and cockpit video cameras keeping you in the picture on boat extremities. 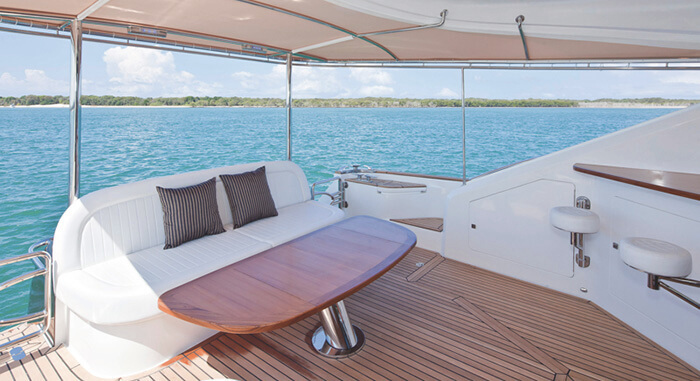 Rarely seen on a motoryacht of this style and size, the master stateroom extends the full beam of the boat. Its large queen-size mattress a very cosseting eight inches thick, with storage under its baseboard. The same high specification is shared by the VIP ensuite/day head forward: including semi-recessed porcelain sink, opening portlight and insect screen, round deck hatch overhead, plus cedar-lined timber storage lockers.